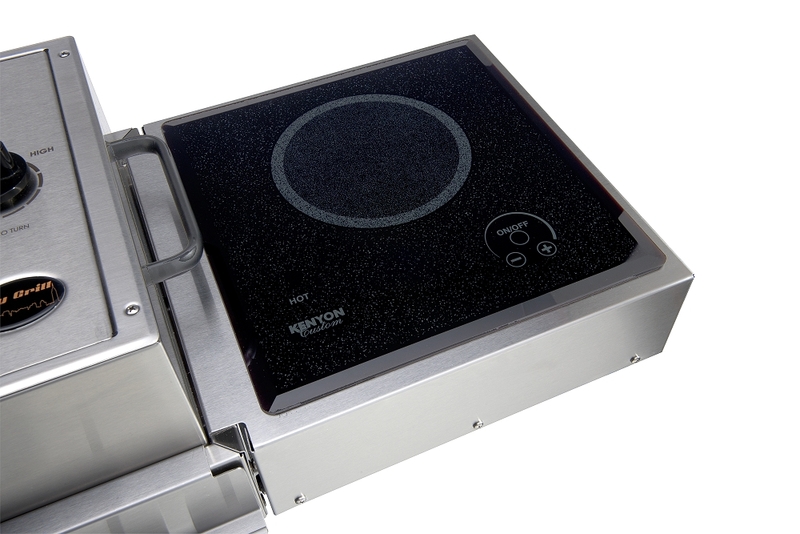 Grill Cart- Specifically designed for the Kenyon portable grills (Frontier, Floridian, City Grill, & Revolution). 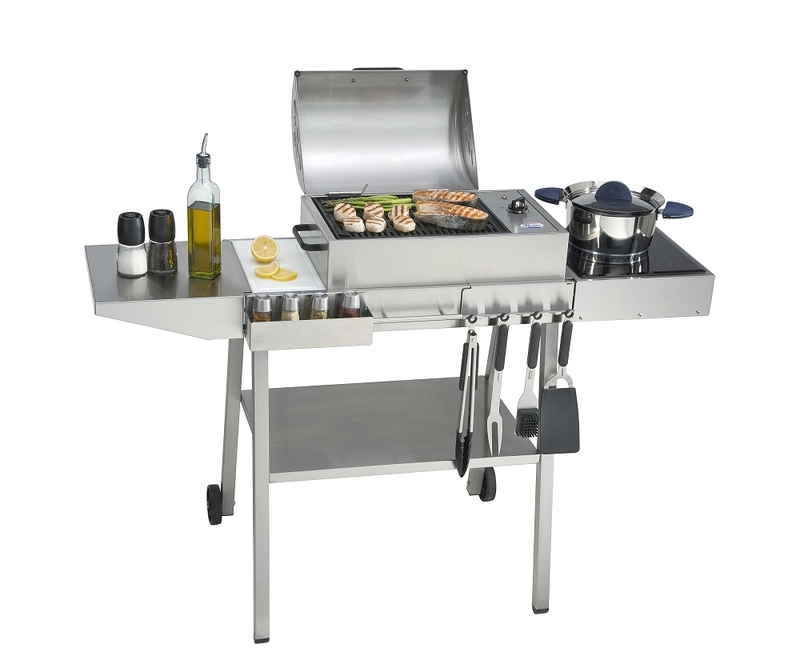 Easily transport your All Seasons Grill and store all of your accessories in one location. Comes standard with a plastic professional cutting board. 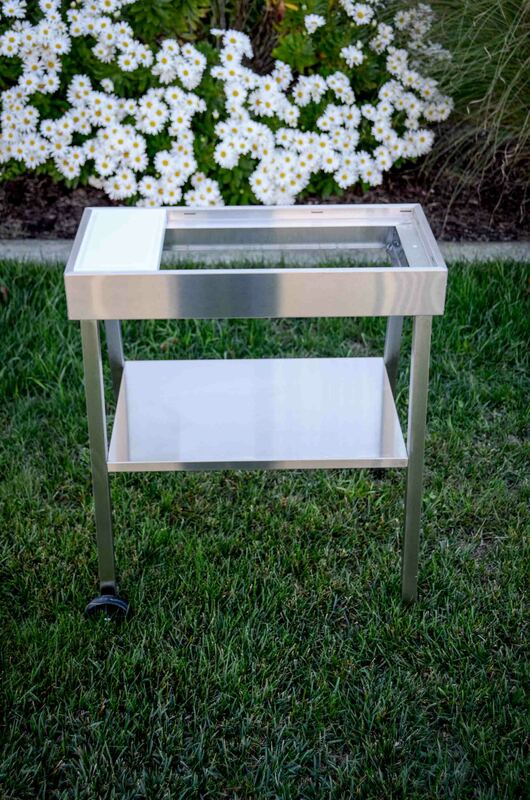 Store indoors or out as the marine grade stainless steel construction is weather resistant and rust proof. The two non-marking wheels allow for easy relocation when the need arises. A special recess in the rails hold all the Kenyon Portable Grills firmly in place. Standing 31 inches tall the cart is the perfect height for cooking. 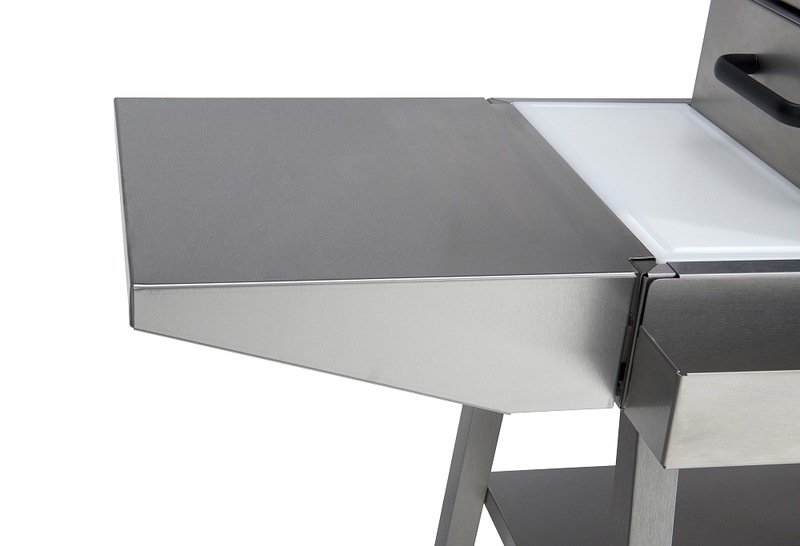 The lower stainless steel shelf keeps all grill accessories together and at hand. Overall: 28 1/2" x 23" x 31 3/16"